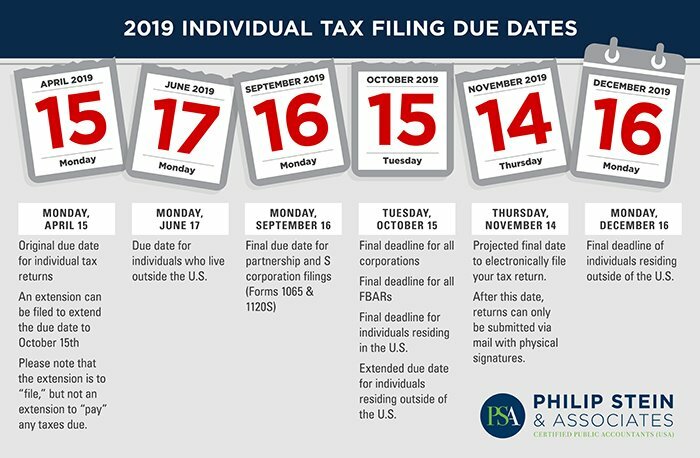 Individual Tax Filing Due Dates | Philip Stein & Assoc. Philip Stein & Associates is the largest U.S accounting firm in Israel. We began over 35 years ago in a roving Peugeot hatchback while serving U.S Army Corps Engineers who were building airbases in the Negev region of Israel. Today the firm which has offices throughout Israel and a presence internationally –specializes in finding innovative solutions for our clients’ U.S. tax needs. We utilize our expertise and detailed knowledge of U.S and international tax law to serve clients all over the world. We enjoy close working relationships with our clients for many generations and take pride in growing together with them and their families. Be it a routine annual filing or a complex tax structuring issue, we are with them every step of the way.